Best robot toys for kids have flourished in popularity with modern society built around robotic characters and superheroes in the media. Kids explore their imagination and learn new concepts while they have a blast interacting with toy robots. If you are in search of a gift for your child to make playtime productive, a robot will put a smile on their face and teach them critical thinking skills. 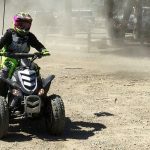 Kids Ride Wild compiled a buying guide with the best robot toys for kids along with advice on choosing one that will be loved in your household for a long time. Along with a brief history on the evolution of robots, we will share the benefits of robot toys and the different types for kids. Let’s get started with the choices for best toy robot models. The Ozobot 2.0 Bit Smart Robot Toy comes packed with everything your child will need to customize the Ozobot’s robot language. This toy is ideal for children ages 6 and up who will enjoy using the included Ozobot colored markers to draw the commands for the toy. One of the neat things about this robot is that it operated from block-based programming so it reacts to color codes written on paper or displayed on digital screens. It operates off of 1 Lithium Polymer battery and weighs only 0.2 ounces. The robot also comes with skins and DIY stickers for kids to make their toy unique. This toy may be one of the world’s smallest robots measuring at a mere 1 cubic inch but there is no shortage of fun and learning activities packed inside. It is one of the best programmable toy models that features an assortment of over 20 games and puzzles. There is also an OzoDice game to keep kids laughing as they play with the smart technology. Kids will get to learn about topics such as coding, computer science and STEM while interacting with this robot toy. Kids learn as they go and become more advanced with color coding as they create racetracks, mazes and adventures for the Bit Robot to explore. >> Check out Ozobot 2.0 Bit Smart Robot Toy on Amazon right here. For the dinosaur lover in your family, the WowWee Miposaur is surely the best robot dinosaur toy. It is equipped with a BeaconSense infused track ball for kids to always keep the robot in sight while they are playing. The trackball technology operates as a remote for users to activate different activity modes including chase, feed and dance. Kids can also control the robot with hand gestures or by using the Miposaur phone app. With 3 ways to play and 10 different commands, this is an extremely versatile toy and it will even react differently depending on whether the dinosaur’s mood is excited, curious or annoyed. For social play, the dinosaur robot can detect other nearby MiP Robots which means your kids can battle their friends Miposaur robots. This robot measures at 19 x 7.8 x 10 inches and weighs 10.6 ounces. Parents will have to purchase batteries as the Miposaur takes 4 AA batteries and the trackball requires 4 AAA batteries. Children can directly control the dinosaur robot’s movements by tracing its path. They will never get bored when taking the dinosaur for a walk, playing fetch or even feeding it virtual steaks with the app.The Miposaur will also dance to your little one’s music library for a fun-filled dance party. 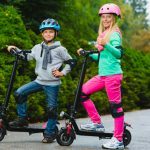 >> Check out WowWee Miposaur on Amazon right here. The Fisher-Price Bright Beats Dance & Move BeatBo is a dancing robot toy that will grow with your child. Start the party simply by pressing the robot’s tummy or the buttons on his feet. This toy is recommended for ages 9 months to 3 years and it has 3 different learning modes to grow with your baby. The first mode for younger babies is Dance ’n Move that sings music to encourage your little one to move around. Next, it has learning and games mode for toddlers to learn their ABC’s, colors, numbers and much more. The third mode is customized sing-along where parents or kids can record customized phrases for the robot to repeat. With it’s multi-color LED grid tummy, babies are thrilled to interact with Beatbo. This toy was named as winner of the infant toy of the year award for 2017 as it is a great introduction to cause and effect. Their actions bring the robot toy to life as it sings and dances with baby. It requires four AA batteries that are included for demo purposes, so it is recommended to replace them with new batteries when the toy arrives. Measuring at 14 x 5.5 x 13 inches and weighing 2.6 pounds, this futuristic toy is an excellent size for toddlers. Beatbo the robot will stimulate all of your baby’s senses with movements, bright colors and fun flashing lights! >> Check out Fisher-Price Bright Beats Dance & Move BeatBo on Amazon right here. If you are looking for a walking robot toy for boys, the WolVol 10 Channel Remote Control Robot Police Toy is a popular choice. The innovative robot toy arrives in a huge colorful box and requires no assembly other than to pop in the batteries. Make sure to purchase 5 AA batteries as the robot takes 3 and the remote control requires 2. 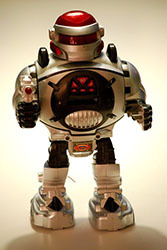 Designed with silver, black and red colors, kids will be able to pretend they are saving lives with the robot police toy. With the remote control, this toy has 10 different actions with full motion in the arms and legs. The flashing lights and robot sounds keep kids engaged for hours as the robot walks, plays music and dances around. This toy measures at 13.8 x 10.3 x 5.2 inches and weighs only 2.4 pounds making it a great companion for kids ages 6 and up. The remote is super easy to operate so little ones can learn how to shoot the little foam rockets and operate the other activities. Kids will have a blast as they interact with the versatile toy and shoot out rockets to fight the ‘bad guys’. >> Check out WolVol 10 Channel Remote Control Robot Police Toy on Amazon right here. The Top Race Remote Control Toy Robot is a talking robot toy loaded with educational activities for boys and girls. The fun LED lights and music are operated by using the wireless remote control, so kids can make the toy sing and dance on command. It measures at 16.9 x 11.3 x 5.7 inches and is recommended for kids ages 3 and up. Not only does it play fun songs, but the toy robot will read your little one 10 different stories and quiz them on math topics. It also has voice mimicking to imitate their speech for everyone to have a good laugh! This toy is a new generation of intelligent remote controlled toys In addition to the many learning activities, kids can shoot out little discs with the remote. To reload the discs, the top of the robot’s head opens up for kids to put them back for more shooting fun. With a realistic robot design, it features a white body with black and blue accents as well as yellow buttons on the chest. It requires 5 AA batteries for the remote as well as 2 AA batteries for the remote. With so many different functions, this will be a perfect gift to keep your child entertained with walking, talking robot excitement. 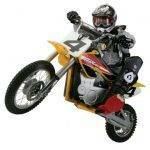 >> Check out Top Race Remote Control Toy Robot on Amazon right here. The Hi-Tech Wireless Interactive Robot Cat Smart Kitty is one of the best robot toys for girls. This intelligent robot is an adorable pink and white cat character that is sure to be your child’s new favorite companion. Kids can control the toy with 15 different voice control commands. 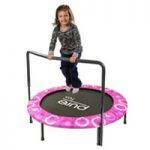 It has many different exciting functions such as singing, dancing, jokes, follow the leader and much more. Recommend for ages 2 to 6 years, little girls love to tell the robot cat to follow them around the house. It is a great size for young children measuring at 8.6 x 9 x 9.3 inches and weighing only 1.2 pounds. As a loyal friend, the smart kitty will protect its owner by turning its back to warn the enemy. Parents will have to buy 4 AA batteries separately to operate the toy robot. Once powered on, kids can tap the head, voice their orders and have the kitty moving in all directions including left, right, forward and backwards. Standing with 30 feet of the cat, anyone can interact with it to move or respond to commands. This cute robot toy will capture little girls’ imaginations as they play with their new kitty friend. >> Check out Hi-Tech Wireless Interactive Robot Cat Smart Kitty on Amazon right here. There are a few things to learn before deciding on the best robot toy for your child. 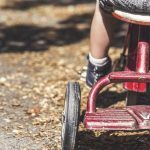 It is important to not only know the different options that are available but to also why this type of toy is a great fit for your little one. 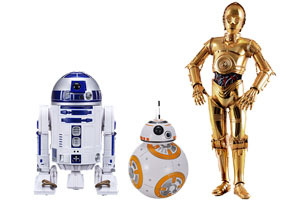 Here are some helpful insights on the history, benefits and various types of robot toys. The history of robotics date back to ancient Greek literature when they were just a mythological concept. It wasn’t until the late 1900’s that toy robot technology started to flourish into more complex functions. After the Second World War, Japanese toy manufacturers recognized the growing demand for children’s toys and started mass producing action figures and basic robot toys. 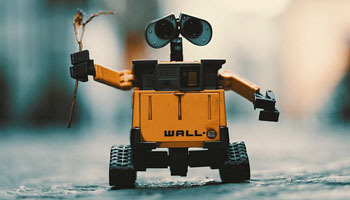 The interest for robotic toys expand from science fiction movies and influenced the toy companies to evolve from simple features to more complex toy robots. Kids of all ages have been exposed to robots from mainstream media sources that teach them about the possibilities and functions of artificial intelligence. Many popular movie shows and cartoons such as South Park, Aqua Teen Hunger Force and Futurama feature robot characters that are adored by children of all ages. The robots depicted on the television are often much more complex than toy robots, but the toys give kids a real life experience of interacting with advanced technology. One thing is for certain that the best robot toys for kids are full of both educational and entertainment features to fuel your little one’s admiration of robots. Robot toys have many educational benefits such as helping children learn cause and effect, new concepts and problem solving skills. Kids learn about how pressing the remote buttons or gesturing the robot results in different actions and movements. Some robot toy models introduce kids to concepts such as the ABCs, colors and even more advanced subjects such as math or coding. Robots are more than just a source of entertainment, they give children a sense of responsibility as they learn how to interact with the toy. Models with voice control functions also help with developing communication skills. Not only are toy robots a good tool for education purposes, but they will also fuel your child’s creative side. As they are interacting with the robot, kids come up with conquests and challenges for the robot to take on. Kids stay engaged for much longer than they would with other interactive toys for the simple fact that robots incorporate more advanced forms of artificial intelligence. The smarter the robot toy, the more it will fuel your child’s endless imagination. There is truly no limit to the amount of stories that your little one can come up with! When it comes to narrowing down the best toy robot choices for your child, there are a variety of different types to consider depending on your child’s age range. For babies and toddlers, there are dancing robots and animal robot toys that are suitable for younger children. Simpler robot toys with bright lights and music are great for this age range to introduce them to the world of robots. Smart robots with more complex technology such as coding or hand gestures are great for older children to help develop and learn. Many older children also like character or animal robots that can play fun games, respond to verbal and remote commands or quiz them on new subjects. Now that we’ve introduced you to the best robot toys for kids, you can confidently decide on a toy that will keep your child entertained. You want it to be one that will engage their imagination and creativity for hours of fun playtime. 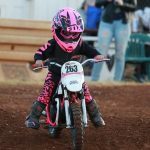 Make sure your choice is age appropriate and full of activities that will fascinate their hungry imagination. There is no better feeling than finding the best toy robot as a gift for any special occasion.